What many people don’t realise is that it takes about 3 hours to drive out to Kakadu from Darwin and then often another hour or more to get to a waterfall or rock art site. We always try and push a one day tour enquiry into at least a two day tour if possible. This way you can then see a few different aspects and regions of Kakadu and get a better feel for the Park. On a one day Kakadu tour you can usually only focus on one area and see just 2 or 3 sites at best. A one day Kakadu tour is 100% better than a no day Kakadu tour! Depart Darwin early and travel into Kakadu via the Arnhem Highway. En route we’ll stop at the historic Bark Hut before entering Kakadu. The tour will then travel into the northern region of Kakadu to Ubirr, one of Kakadu's most impressive Aboriginal rock art sites. After a picnic lunch we will join a cultural cruise on the mighty East Alligator River and even set foot in Arnhem Land. Our last stop in Kakadu will be at the Mamukala Wetlands which is home to an array of bird life. Next we will make our way back to Darwin, arrive in at approximately 7pm. Depart Darwin early and travel into Kakadu via the Arnhem Highway. En route we’ll stop at the historic Bark Hut before entering Kakadu. 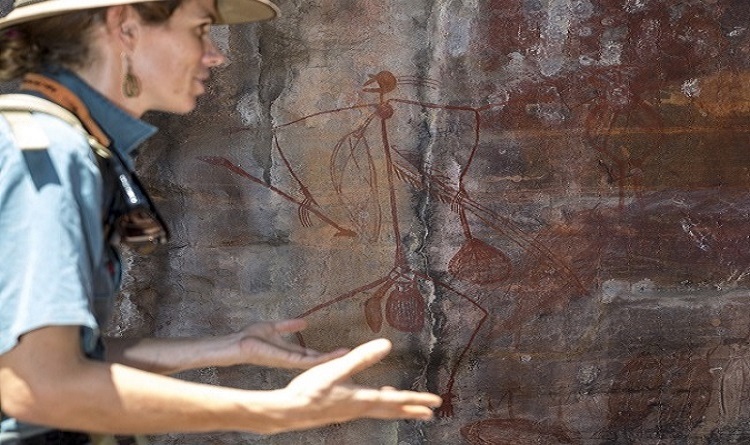 Once in the Park we will visit Nourlangie Rock, one of Kakadu’s oldest Aboriginal rock art and occupation sites. Continue south along the Kakadu Highway to Cooinda where a picnic lunch will be served. Here you also have an opportunity to visit the park’s cultural centre. At 2.45 we will join a cruise on the famous Yellow Water Billabong, home to an array of birdlife and saltwater crocodiles. Next we will make our way back to Darwin via the old Jim Jim Rd, arriving into Darwin at approximately 7pm. At 6.45am board a light plane from the Darwin Charter Airport. Enjoy a spectacular 1hr scenic flight to Kakadu over the Park’s vast floodplains, billabongs and river systems. After touching down in Jabiru your guide will take you to Nourlangie Rock, one of Kakadu’s oldest Aboriginal rock art and occupation sites. Continue south to the famous Yellow Water Billabong, home to an array of birdlife and saltwater crocodiles. At 11.30am we’ll embark on a picturesque 1.5hr cruise. After a picnic lunch we’ll visit one of Kakadu's most impressive waterfalls and swimming holes; Maguk (Barramundi Gorge). Late afternoon we'll drive back to Cooinda where you will again board a light plane for your 1hr flight back to Darwin. Arrive back into Darwin at approximately 6.30pm. It's a good idea to try and get back into Darwin by 7pm so you'll have time to head out for dinner or visit the Mindil Beach Sunset Markets or perhaps see a film at the Deckchair Cinema. 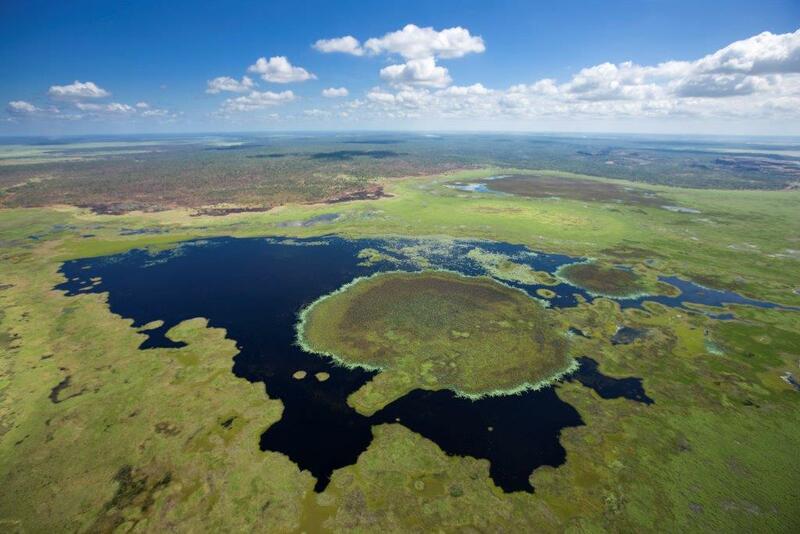 We hope the above assists you in planning your one day tour of Kakadu. If you require assistance don't hesitate to contact us. 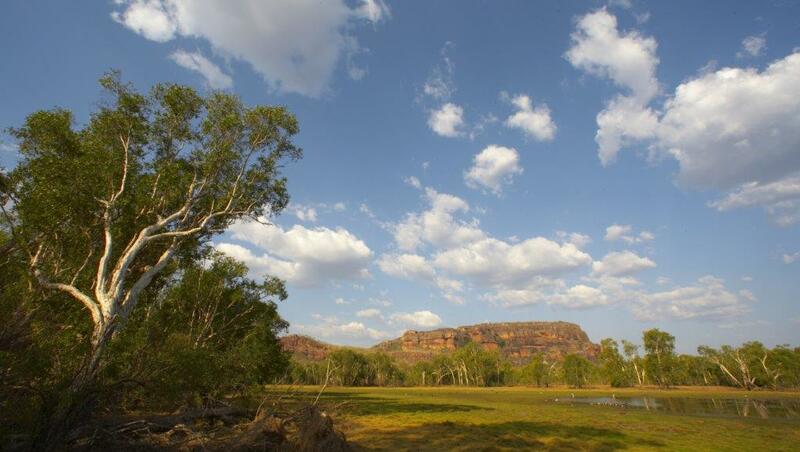 For more information about many other wonderful places to visit in Kakadu click here.